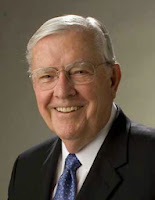 Elder M. Russell Ballard (born October 8, 1928) was called as a Seventy in 1976, and has served as a member of the Quorum of Twelve Apostles since 1985. "There are numerous teachings about the importance of prayer found throughout the scriptures, but one specifically ties prayer to power, especially the power to resist temptation. 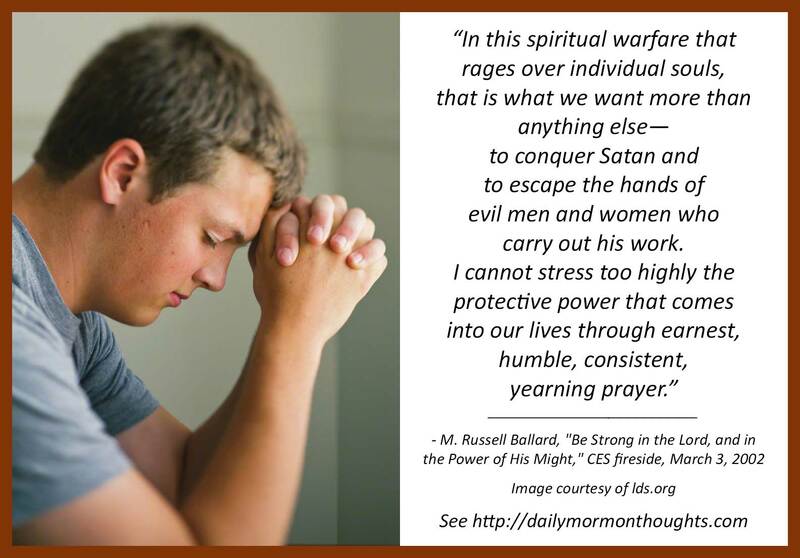 The Doctrine and Covenants teaches: 'Pray always, that you may come off conqueror; yea, that you may conquer Satan, and that you may escape the hands of the servants of Satan that do uphold his work' (D&C 10:5). "One of the most important ways to clothe yourselves in the armor of God is to make sure that prayer—earnest, sincere, consistent prayer—is part of our daily lives." Elder Ballard teaches us how prayer becomes a critical tool in establishing our armor against the attacks of the Adversary. The Lord has instructed that we should "pray always" in order to "come off conqueror." The more we come to realize to profound and active this battle for our very souls is, the more we realize how very much we need this divine assistance! I appreciate Elder Ballard's instruction that it's not just casual prayer that brings the needed power and protection. It's not going through the motions or striving to fill the minimum requirement. It's "earnest, humble, consistent, yearning prayer" that makes the difference! That's the kind of prayer we should be striving for as we "pray always" for God's help in our lives.